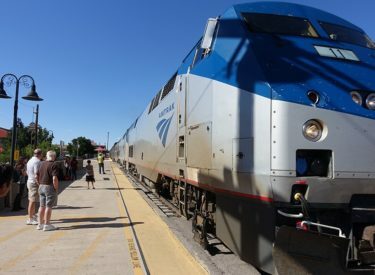 (AP)Amtrak is considering ending passenger train service from southwest Kansas to central New Mexico and instead implementing a bus connection on the route. The Hutchinson News reports that Amtrak CEO Richard Anderson revealed to lawmakers last week the train operator is looking into ending Southwest Chief service between Dodge City, Kansas, and Albuquerque, New Mexico. The announcement came after lawmakers asked the company to stand behind agreements it previously made to upgrade and maintain its route through the south-central U.S.
Republican Sen. Jerry Moran says he’s disappointed in “the lack of commitment on the part of Amtrak to keep its word” on upgrading the Southwest Chief route. The nearly 2,300-mile passenger train service has run daily between Chicago and Los Angeles since 1974.